Carmex Moisture Plus™ Tints Review and Giveaway! The colder weather is upon us here in the north east and its time to protect our lips from cracks and dryness and Carmex has the perfect solution for our lips ladies. Its the new Carmex Moisture Plus™ in tints! It gives your lips a hint of color and its SPF 15 arms it against those pesky sun rays. If you’re like me, make-up is not an every day thing but with Carmex Moisture Plus™ tints I give my lips a fabulous look and super softness every day of the week. It lasts and it feels great and may I add it tastes good too. Don’t worry, it fits anywhere. It comes in a slim tube that fits in your smallest pocket or purse and I suggest you take this with you every where! Mandatory Entry: Visit Carmex online by clicking here and tell me which product is your favorite? That’s it! 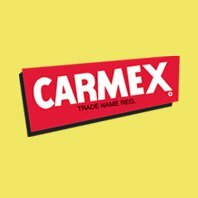 * Follow Carmex on Twitter. * Fan Carmex on Facebook. This giveaway ends December 9, 2010. Winner will be chosen randomly and will be announced here and also by email. This giveaway is open for U.S. residents only. One entry per household. Disclosure: This post was not compensated by Carmex in any way. All opinions are my own. I received Carmex Moisture Plus™ tints for review purposes only. *Tints are only available at Walgreens and Walgreens.com.